Five of Meghan's friends spoke anonymously to People magazine. 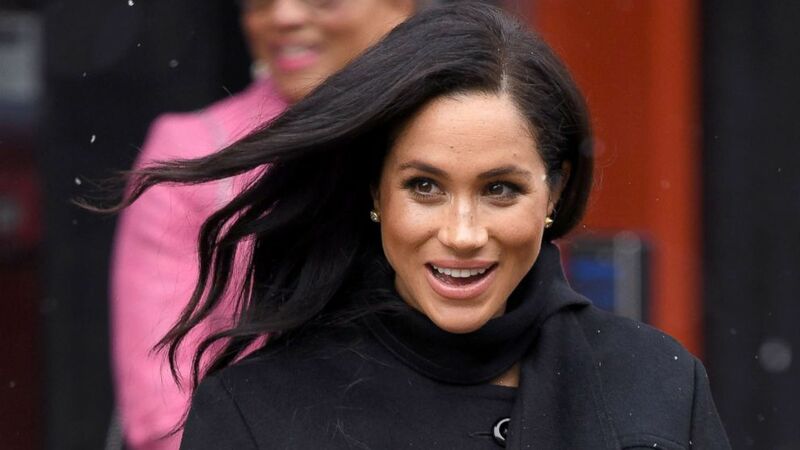 “Meg has silently sat back and endured the lies and untruths,” one of the friends, described as a former costar of Meghan’s, told People magazine. "I'm in charge of the banana messaging," Markle said. 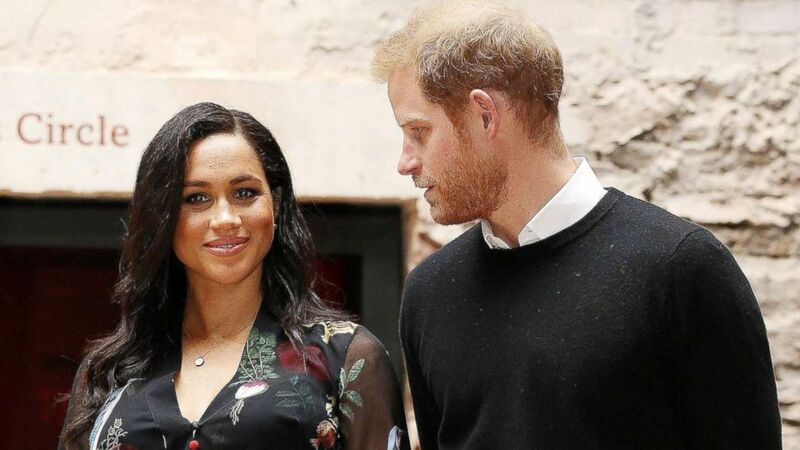 Harry and Meghan visited the Old Vic theater in Bristol. Try this royal look -- for less! Meghan, 37, has been dubbed “Duchess Difficult” by the British tabloids since marrying Prince Harry last May. (Karwai Tang/WireImage via Getty Images) Meghan, Duchess of Sussex departs after visiting Bristol Old Vic, Feb. 1, 2019, in Bristol, England. The friends of Meghan spoke to People magazine anonymously. They include a former colleague in addition to the former costar, according to the magazine. “Meghan's friends say she's not like she's been portrayed in the British press and that she is a really kind and selfless and caring individual, the sort of person who puts other people first all of the time,” Dan Wakeford, deputy editor of People, told “Good Morning America." “They feel she had been portrayed as an uncaring daughter, as somebody who was a demanding bride." One rumor circulated by the British press was that Meghan made her sister-in-law, Duchess Kate, cry at a bridesmaid's fitting for Kate's daughter, Princess Charlotte. Rumors have continued to swirl about a feud between Meghan and Kate, who is married to Prince William. "What Meghan's friends are saying about the so-called feud with Duchess Kate is of course it's completely untrue," said ABC News royal contributor Omid Scobie. "In fact, these stories of really upset Meghan and have been quite difficult for her to sit back and watch play out in the public eye." Meghan's friends would likely have not spoken out so publicly without her "subtle blessing," according to Scobie. Kensington Palace declined to comment on People's story to ABC News. (Marc Giddings/AFP/Getty Images) Britain's Prince Harry, Duke of Sussex and Britain's Meghan, Duchess of Sussex visit Bristol Old Vic theatre in Bristol, England, Feb. 1, 2019. "No true friend of Meghan’s would ever speak out publicly without her subtle blessing," he said. "Of course Meghan can’t speak for herself, but I’m sure she would have been very keen to put the real truth out there on some of these, many negative and untrue stories that have been written in the tabloids." "For her friends it will be a very satisfying time to finally stand up for their best friend and tell everyone who the real Meghan is," Scobie added. Meghan's friends also opened up to People about her very public feud with her father, Thomas Markle, who infamously staged a photo shoot with paparazzi just days before her wedding. He later had a heart attack and missed Meghan and Harry's wedding. Meghan's father-in-law, Prince Charles, walked her down the aisle of St. George's Chapel instead. The friends say Meghan, who remains close to her mom, Doria Ragland, wrote Markle a letter after the wedding, writing, "I'm so heartbroken. I love you. I have one father. Please stop victimizing me through the media so we can repair our relationship." In Markle’s reply to his daughter, he asked for a photo op with her, according to Meghan’s friends. "I think she will always feel genuinely devastated by what he's done," said one friend. Meghan's friends also rejected the idea that she is a difficult boss, as British tabloids have claimed. They said Meghan stands for "supporting and empowering women." One friend described visiting Meghan in London and seeing her make tea and use towels to wipe down her dogs after they got muddy outside. "I think what we’ve learned about Meghan through this article is some of the softer side," Scobie said. "Her friends speak about how important her faith is, how important prayer is to her and has got her through some very difficult times."